All offered products are Made in the USA using American materials. ​​​Convert your billiard/pool table into a tabletop and at the same time protect the delicate billiard table cloth from the kind of damage that might sabotage a clean shot. The 7/8"-thick pads fold flat for easy storage. Provide seating for up to eight more people! Extensions can increase widths by as much as 16" and lengths by 52". Additionally, thicker 7/8" pads provide excellent surface protection. Protect your tabletop from scratches, nicks, dents, water marks, stains, sunlight and more. 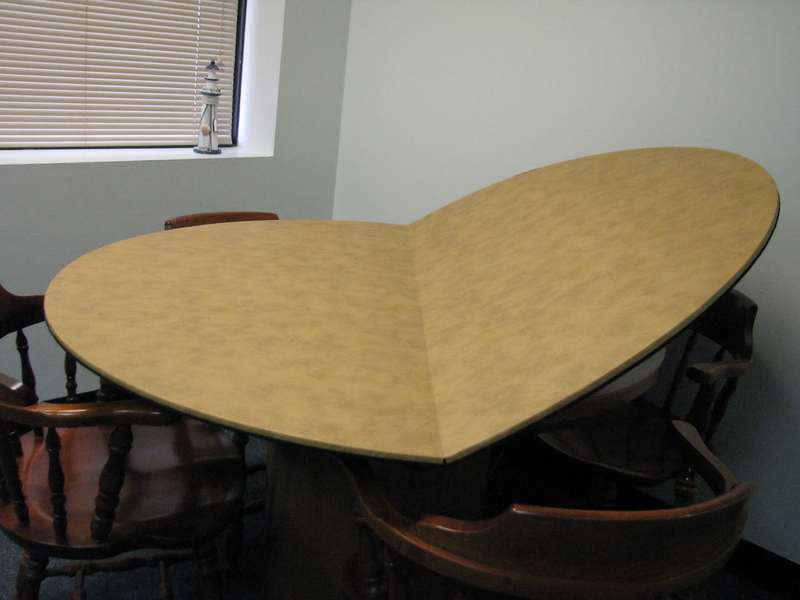 Our 5/8"-thick table pads protect surfaces against heat searing from temperatures as high as 550°F. 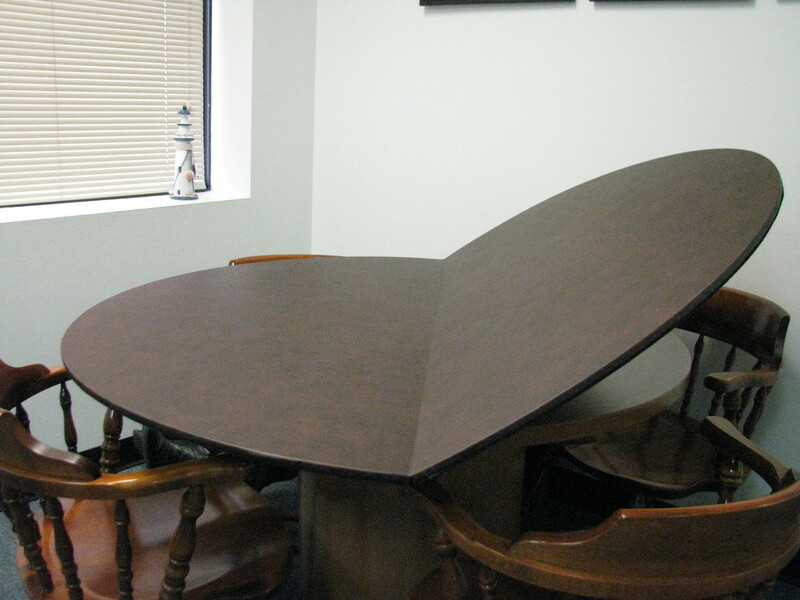 Heartland Table Pads™ is the leading and proud made-in-the-USA manufacturer of products used to protect and preserve the working surfaces of expensive furniture. All of our unique products are hand-made by experienced and skilled local workers. It is our choice of materials and our workmanship that distinguish our carefully manufactured goods from run-of-the-mill substitutes. Whether you seek to protect a dining table or add extra seating to accommodate more guests or increase the playing surface for card games and board games or convert a billiards table to other uses, you will be sure to find what you are looking for in our large, product portfolio. We look forward to meeting your needs. 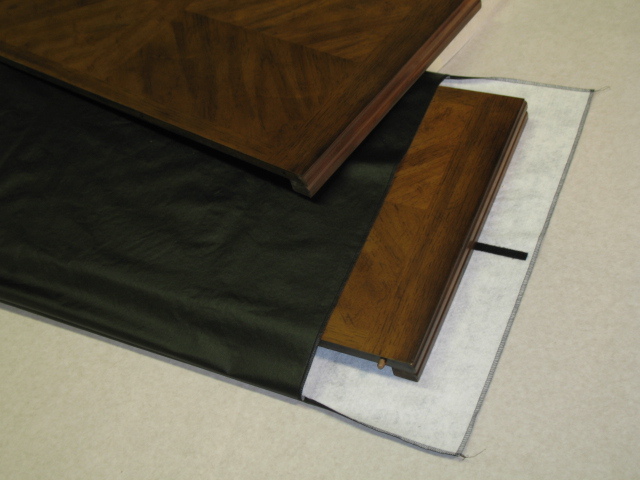 Store and protect your table pads with our custom made storage bags. We also have storage bags for other items, as well. Visit the corresponding web page for details. Expand your seating space for dining or playing cards and other games. 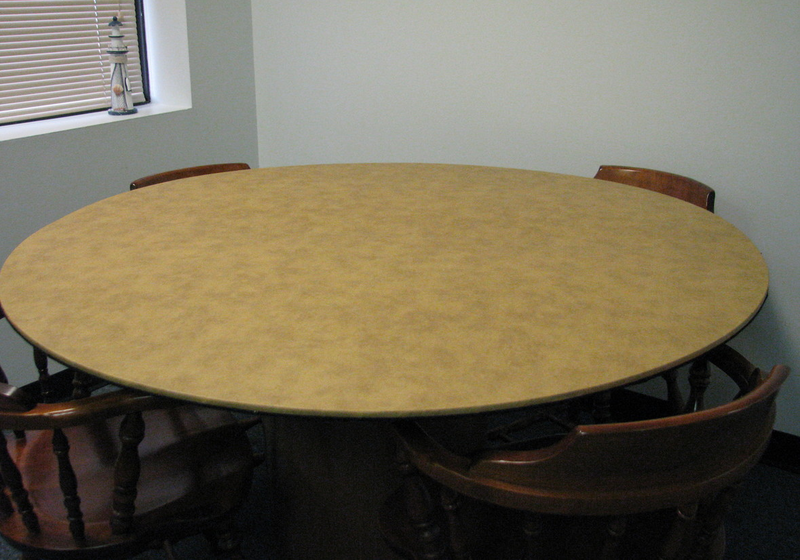 Available in 48", 52" and 54" rounds to cover your rectangular or smaller round table tops. Folds in half for easy storage. We understand your desire for better quality table pads that will help to protect your investment over a period of many years. We work hard to reach that goal. Our customers confirm our efforts. A visit to our testimonial page will show you by just how much.